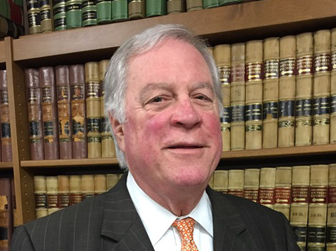 Mr. Webb applies his 39 years of experience to obtain practical solutions to client’s problems whether it be a unique settlement opportunity or proceeding to trial. He is often called upon to coordinate the initial investigation following a catastrophic event and is available on a 24 hour basis. Emphasis on transportation, products liability, maritime law and admiralty litigation, including trucking accidents, maritime personal injury claims and collision, oilfield construction and oilfield equipment failure, as well as medical devices, bar admission matters and Constitutional law. Born Baton Rouge, Louisiana , December 20, 1948. Member: Louisiana State, Texas State and American Bar Associations; New Orleans Bar Association; the Louisiana Association of Defense Counsel; Trucking Industry Defense Association; Transportation Lawyers Association; Maritime Law Association of the United States; Southeast Admiralty Law Institute; Defense Research Institute; Louisiana Supreme Court Committee on Bar Admissions, Past Chairman; Tulane Inn of Court, Master. In addition, Mr. Webb retired as a Lieutenant Colonel from the United States Army Reserve after having served as a multi-function logistics staff officer at a theater level command.